Wendy! And what a wonderful Secret Pal she was too! Thanks Wendy! Wendy sent me a replacement parcel while we thought one was lost, it arrived on Saturday and contains many wonderful goodies. More on them tomorrow as it’s late here and I really should get some sleep. Oh, and who was I Secret Pal to? Teresa! A little later than I’d planned but here’s the inside scoop on the contents of my SP3 parcel! 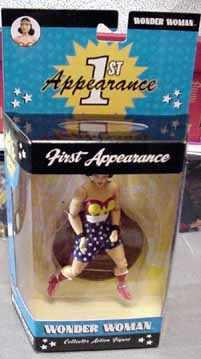 A Wonder Woman First Appearance figure! 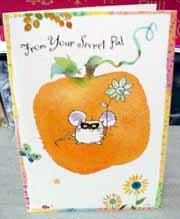 and this very cute card! 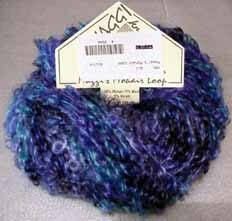 I knitted an eyelash scarf for a friend at work a few months ago. realise the value of their work.